Recently Microtek, one of the prominent Inverter manufacturers in India has been sued by an unhappy customer for the fire accident triggered by an inverter/UPS. This is not a joke; inverter/UPS is a common household appliance in India. If it is prone to catch fire and spoil the whole house, then we need to think twice about the safety of our family & children before installing it in our house. It doesn’t mean that all inverters are prone to fire accidents. Only the cheap inverters and batteries are accident-prone. Here we are going to list out some possible reasons for fire in inverters. 1. Low quality Batteries with broken or non-ceramic fume filters are more likely to catch fire. 2. Input voltage fluctuation my cause internal component failure in the long run and result in MOSFET blast. 3. Inverter with Low Quality base in Printed Circuit Board (PCB) and Undersized tracks may create short circuit and lead to fire. 4. High Room temperature and Dumb inverter that gives constant high charge current even at 40°C temperature. 5. Inverter with Low quality Internal relay & no auto cutoff function when using excess load. Now-a-days people want their inverters to charge the battery quickly in few hours to meet the intermittent power shedding problem. For that reason, many inverter manufacturers are now producing inverters with high charge current. High charge current is a boon when you have a sturdy branded tubular battery. 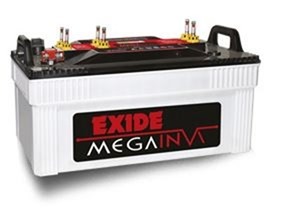 It’s a curse when you have normal lead acid battery or low cost tubular battery from your inverter manufacturer. These low quality tubular batteries will emit fumes during battery charging process. If your battery vent caps are broken or non-ceramic which is not capable of filtering dangerous fumes from the battery, and then your Inverter is more likely to catch fire. In branded batteries, the plates are thicker and good in quality. They don’t emit fumes beyond the security limit. If your Inverter is not smart enough to handle voltage fluctuation, eventually the internal components of the inverter will fail and possibly the MOSFETS in the circuit board will burst. Intelligent Inverter or Dumb Inverter? Inverter companies with no R&D team are cheating people with giving fake names to their inverters like Intelligent Inverter or so. Buyers should be careful in choosing the right inverter. Low quality base in the Printed circuit board is one of the reasons for fire incidents in inverter. Some companies are making low Quality PCB’s to cut the cost and make big profit out of it. That low quality PCB’s will contain under sized tracks which are incapable of handling excess load on inverter. This undersized or low quality tracks will burn slowly whenever the inverter suffers excess load and one point of time it will create short circuit and lead to fire accident. We always recommend our readers to place your inverter and battery in well ventilated and cool space. At the same time it should not be exposed to direct sunlight and rain. Which means, keep your inverter in a cool place to get better performance, life and safety. Do you know the fact that lead acid batteries will deliver its full potential only when we keep it at 27°C room temperature? Obviously, it is not possible in India during summer. And the temperature sometimes touches 40°C, in such case the inverter should slow down the charging process. But some dumb inverters keep on pushing high charge current even at high temperatures. 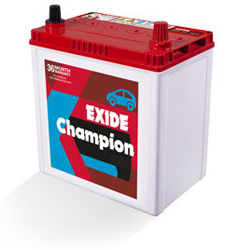 This will cause severe damage to the batteries and eventually create some fire issue or battery blast. Internal Relay is a very important component in an inverter/UPS. This is most common part that gets faulty in most cases. Some inverter companies are making such a low quality internal relay which directly impacts the functionality of an inverter. When your Relay fails, it continuously tries to change the inverter mode, after several failure attempts it triggers fire and smoke. In such case the inverter should be programed to cutoff the power supply from both grid and battery. If your inverter is not smart enough to sense the problem, then fire accident is inevitable. Inverters/UPS are life savers, no doubt about it. But you need to choose the right brand and right model. We always recommend you to go for Best Company Products with strong R&D facilities. Also end users have the responsibility to take care of their most useful and most sensitive appliance (Home UPS/inverter). Switch off your inverter when you go for vacation or any short trip.